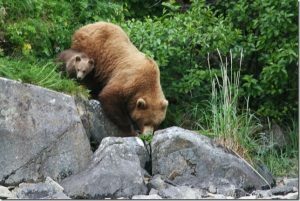 About BEAR – BEAR | Business Equity Appraisal Reports, Inc.
Business Equity Appraisal Reports, Inc., (BEAR) is a business valuation firm working through a nationwide network of valuation experts, CPAs, business brokers, business owners, and consultants. BEAR was founded in 1986, and along the way, we adopted the grizzly bear as our totem. Among our staff we have all of the major valuation credentials, and most of our associates nationwide have one or more valuation credentials. BEAR has participated in more than 7,500 valuations of business interests in over 400 industries. We used to think that by now, we must have seen everything at least once, but apparently that’s not the case—we still learn something new almost every day, and we’ve been steadily incorporating improvements since day one. WHEN YOU WANT TO KNOW WHAT YOUR BUSINESS IS WORTH, CALL BEAR. We join your team of trusted advisers, and utilize information your CPA and others have accumulated about your business. This avoids duplication of effort, keeps costs down, and allows us to benefit from their years of experience with your company. We combine this in-depth knowledge of your business with market and industry data and our expertise to arrive at the most reliable valuation possible. BEAR has participated in more than 7,500 valuations in over 400 industries, with virtually no dispute or adjustments to value. We incorporate extensive market research into our time-tested proprietary system for reliable results produced quickly. Intellectual property transfers—Patents, trade secrets, trademarks, web sites, etc. Asset holding company transfers—Family limited partnerships, real estate holding companies, etc. Learn more about the people at BEAR. We have associates in most major cities in the country. To locate the BEAR associate nearest you, please contact us. Click here for a partial list of data sources. We work with Chinese companies.